Old BenFund beneficiaries join our timeline! 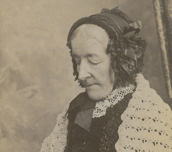 Martha Short, who received a grant of £10 from the Benevolent Fund in October 1877. 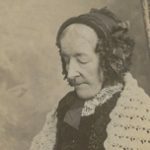 Her husband, William M Short, was a member of the RPSGB between 1841 and 1850. John Jones who ran J. Jones Pharmacy in Castle Square, Caernarfon. He became a beneficiary in 1901, aged 71. To this day there is still a pharmacy in Castle Square, called Castle Pharmacy! Joseph and Emily Toone who became annuitants in 1905 aged 78 and 71 respectively. Joseph worked as a pharmacist in Bath, and lived until he was 81 years old. Mary Masters who became a beneficiary in 1908. She was born in 1824 and lived in White Ladies Aston, a village in Worcestershire. Samuel Daymond who was 64 when he became a beneficiary in 1911, and was from Camelford in Cornwall. Looking back at these photos reminds us just how far we have come. Pharmacist Support has assisted thousands of individuals and their families over the years and developed so much throughout its 175 year history. The charity has become more than just an occupational benevolent fund providing financial assistance to those who fall on hard times. Today we offer an array of services and have become focused on developing more proactive ways to assist the profession. What started as the charitable arm of the Royal Pharmaceutical Society of Great Britain has now become a source of support for those across the profession dealing with a range of difficult life challenges. To view other photos and find out more about the history of Pharmacist Support and the Benevolent Fund, check out our timeline! We want you to get involved too! Do you have any stories, photos or memories of Pharmacist Support/The Benevolent Fund that you would like to share? Email us at marketing@pharmacistsupport.org and be part of our 175 story!